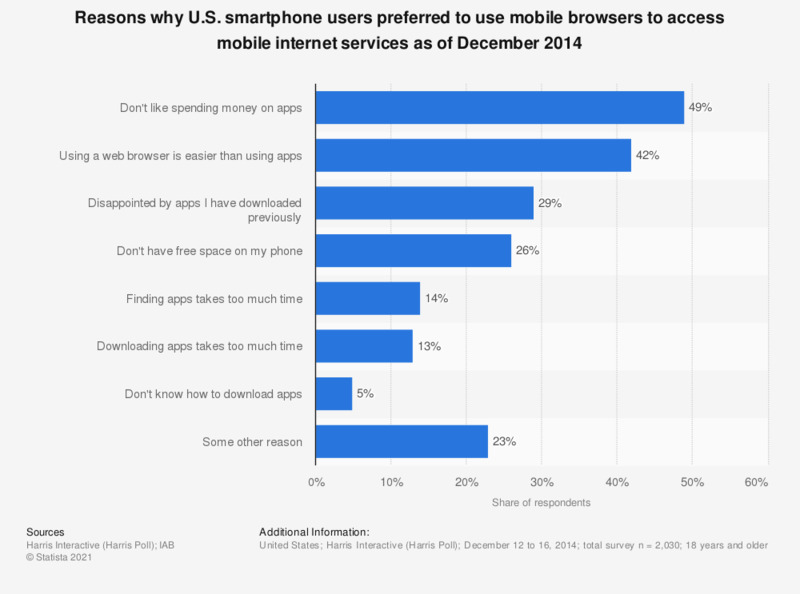 This statistic presents a selection of reasons why U.S. smartphone users preferred to browse the mobile internet via mobile browsers instead of mobile apps. During the December 2014 survey, 49 percent of respondents stated that they didn't like spending money on mobile apps. n=938 U.S. smartphone owners who used mobile internet. Survey respondents who browsed mobile websites more than used apps n = 277. Multiple answeres were possible.